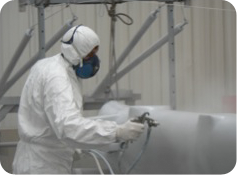 The facility has a dedicated paint shop for optimum painting conditions, heated appropriately for each job. The paint shop features a keel pit to accommodate large vessels. Our in-house paint specialist will give your boat new vitality, lines and colour!